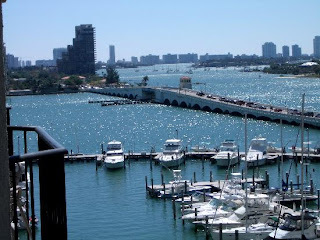 If you are traveling to Miami, one of my favorite hotels in the city is the Marriott Biscayne Bay. I have stayed at this hotel on trips to Miami since 1995 and the hotel is always wonderful. The rooms are standard Marriott but what makes them stand out are the balconies with awesome views of Miami bay. If you are lucky enough to get a room on the 20th floor or above the view is spectacular. 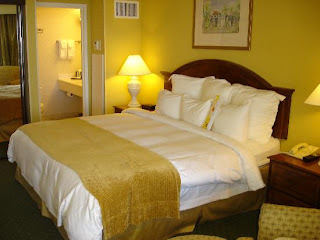 The rooms are a good size and they renovate regularly so they are always current. The fitness center is on three floors around the 24th floor so you can work out while you are watching cruise ships pull in and out of Miami, its fantastic !! They also have a really nice pool area where it is fun just to hang out, especially at sunset. Probably the best part of this hotel is the staff. The hotel staff from the front desk to housekeeping are some of the most wonderful people you will ever meet. All of them are very helpful and friendly and will do anything to help you on your trip.